So happy to formally announce and talk about another wedding editorial photoshoot I planned and executed in early March! 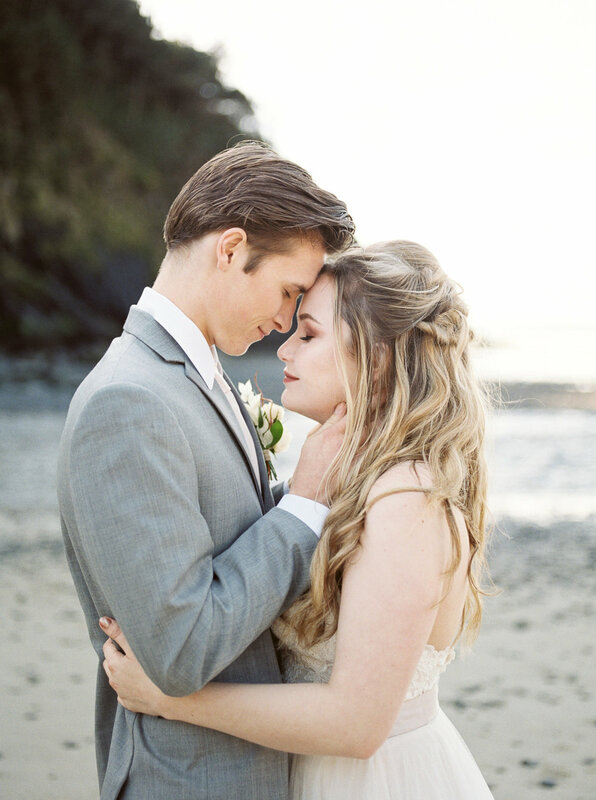 The inspiration for this shoot came from my home, Malibu, California. 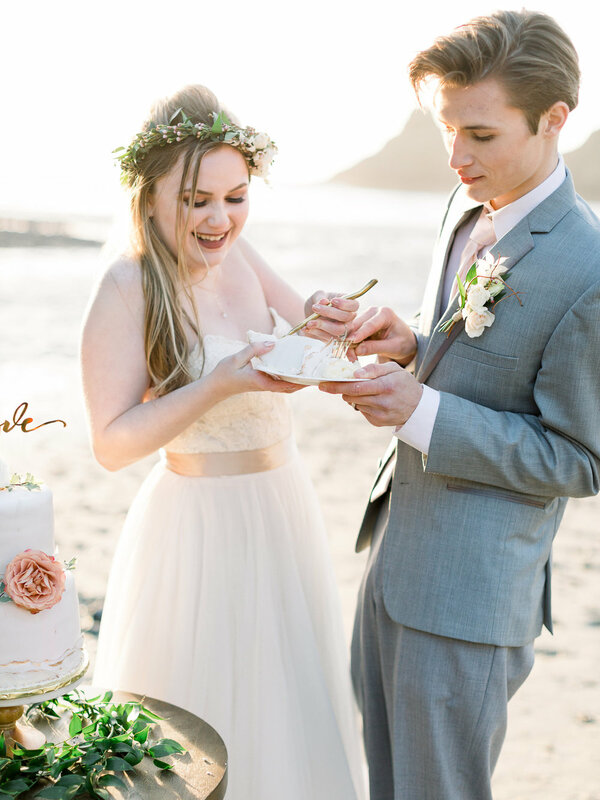 I wanted to execute a coastal shoot with soft blush tones with some more modern details to portray a beautiful elopement on the California or Oregon coast. 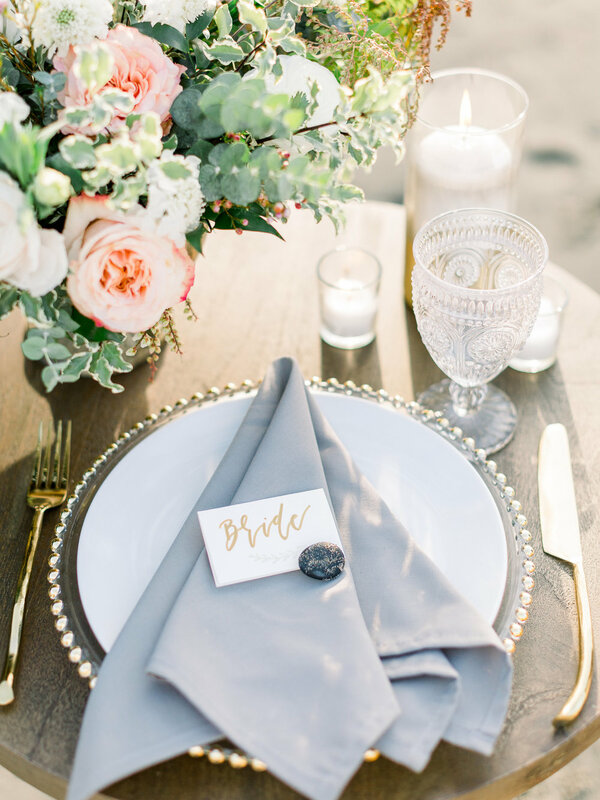 I brought together so many details to make this shoot timeless and special for everyone involved. The gorgeous couple, Natalea and Mason, just stayed the night at a small coastal bed and breakfast the night before. They woke up together, got dressed and ready together, and made their way down to the beach to attend their styled elopement just the two of them. They shared their special vows, got married, and shared their first kiss as husband and wife! After, they enjoyed a small reception next to the water just the two of them with champagne, great food, and cake, of course! They ran off into the sunset happily in love. Scroll on to see some sneak peek photos, the detailed vendor list and the full gallery and video here! Special thank you to all of our vendors! Event Planning & Styling by To Be Loved Events || Photography by Ashley Cook Photography || Videography by Mike Hiatt Media || Venue Heceta Lighthouse Bed & Breakfast || Floral Design by Woodland Floral Design || Event Rentals by Moxie Events | Luxe Rentals || Cake by Soft Peaks Cakery || Make-Up by Makeup by Rachelle J. || Hair by JC Hairologist || Models Natalea Blake & Mason Peckels || Bridal & Tux Shop by Blush Bridal Eugene || Dress Designer Wtoo by Watters || Tux Designer Jim’s Formal Wear || Bridal Robe by Little Brownn Suitcase || Jewelry by Tree Myriah || Rings by MiaDonna & Co. || Cake Topper by Happily Ever Etched || Calligraphy & Signage by PNW Prints || Stationery by Minted || Ring Box by Voeu du Coeur || Ribbon by Honey Silks & Co.